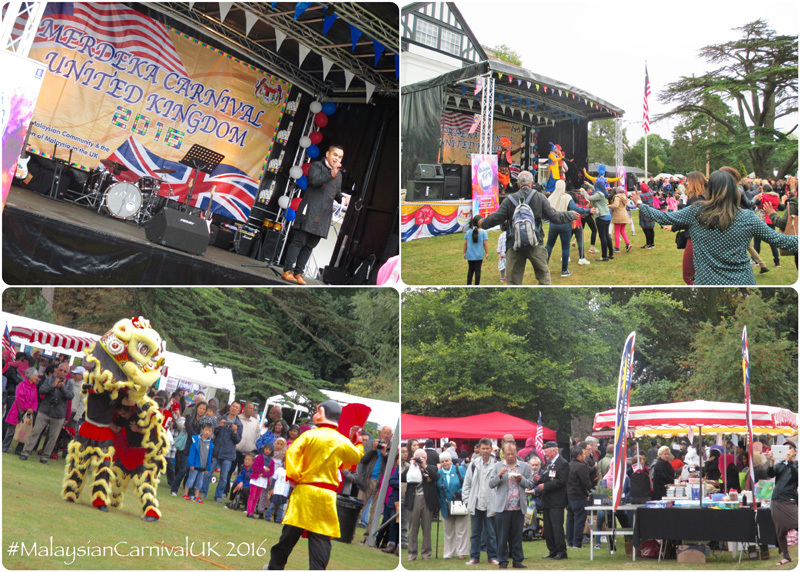 Malaysian Merdeka Carnival Day 2016 was held at Brickendonbury, Hertford on Saturday 17th September 2016 from 10am-5pm. The event is held in conjunction with Malaysian National Day, which falls on 31st August each year to mark the anniversary of Malaysia’s independence. Even though the weather was grey the event was as popular as ever attracting over 2000 people who travelled from all over the country and enjoyed the beautiful grounds of TARRC’s Brickendonbury Estate. 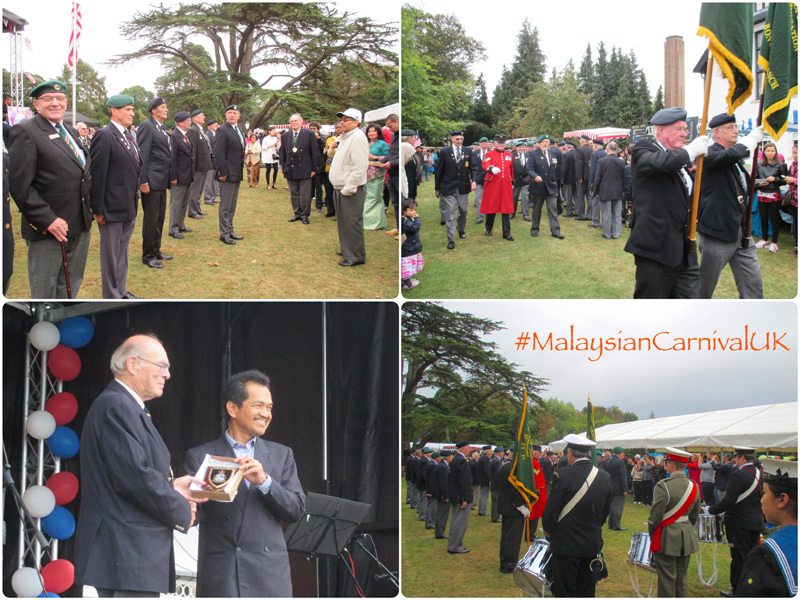 Among the attractions this year, aside from the fantastic food, was Malaysian dancers and music, the Chinese Lion Dance, tug of war contest and a parade from the Veterans of the Solent National Malaya and Borneo Veterans' Association UK (NMBVA) with a Cadet marching band. There was also the annual raffle with the main prize being return tickets to Kuala Lumpur, Malaysia, courtesy of Malaysian Airlines. The Carnival was opened by The Malaysian High Commissioner, HE Dato' Ahmad Rasidi Hazizi and welcomed distinguished guestes such as the Mayor of Hertford, Cllr Dr Linda Radford, Dr Richard Woolfson and Dame Joyce Plotnikoff, both Deputy Lieutenants of Hertfordshire. There was also a presentation of Commemorative shields presented by the NMBVA Chairman, Mr Robert Webster, to the High Commissioner of Malaysia and from the NMBVA President, Capt. Stephen Taylor FNI RN (Retd), to the CEO of TARRC, Dato' Dr Kamarudin Ab-Malek. The Malaysian High Commissioner, HE Dato' Ahmad Rasidi Hazizi also inspected the Veterans and Cadets and took the salute. Parade Marshall and NMBVA Vice Chairman, Mr John Measham, commented on how much everyone had such a 'delightful time' at the Carnival and were looking forward to being involved again in 2017. 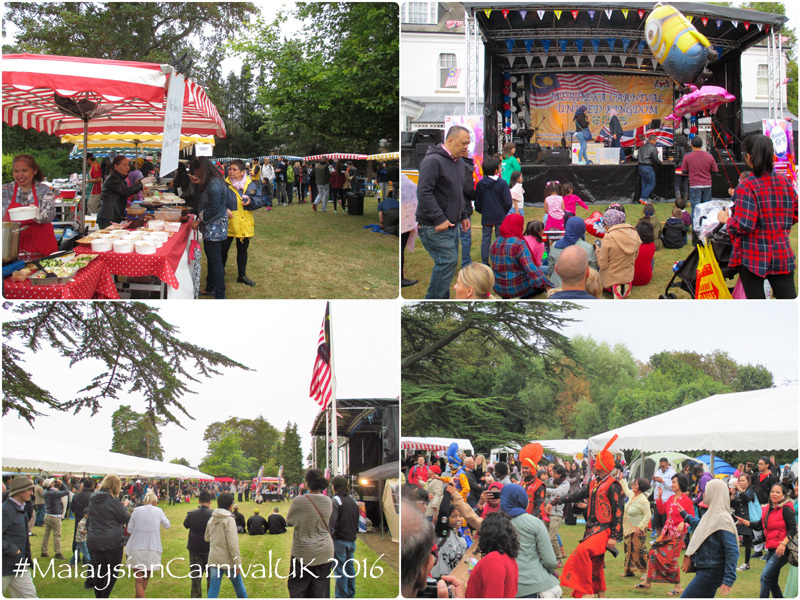 You can see the days events on twitter @Brickendonbury #MalaysianCarnivalUK It was a great day for the whole family and we hope to see you all again next year at Brickendonbury for the Malaysian Merdeka Carnival Day 2017!